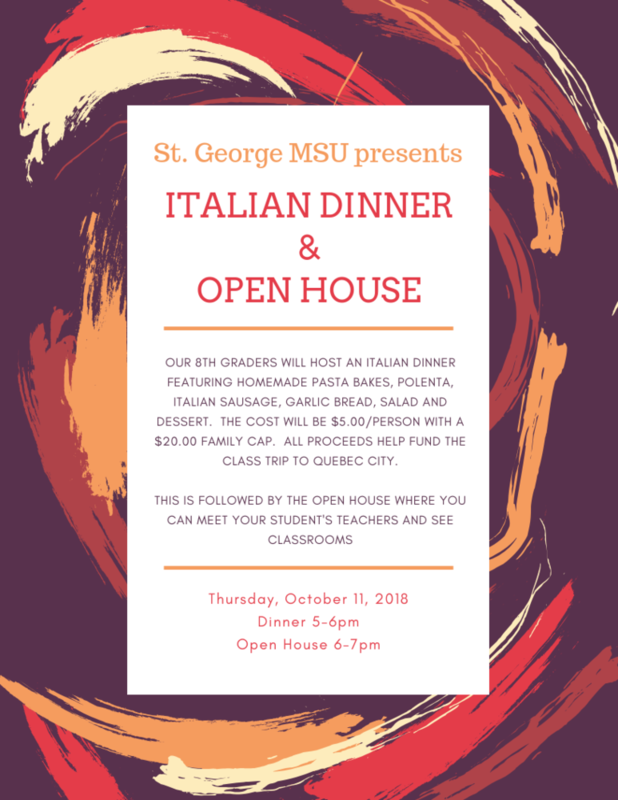 Our 8th graders are hosting an Italian Dinner featuring homemade pasta bakes, polenta, Italian sausage, garlic bread, salad, and dessert. The cost will be $5.00/person with a $20.00 family cap. All proceeds help fund the class trip to Quebec City in the Spring. This is followed by the Open House where you can meet your students' teachers and see classrooms.